What Is The Best Mac Cleaner Software For 2019? We researched and tested several of the most popular optimization software of which we ultimately determined that the best mac cleaner currently available to consumers is MacPaw's CleanMyMac X software. This was chosen as our Editor's Choice due to its excellent user interface, easy to use operation and enhanced safety measures when it comes to accidental data removal. It is available for a yearly fee, lifetime fee or through the Setapp membership (along with their stellar Gemini 2). Our runner-up and the most extensive mac cleaning software when it comes to the sheer amount of removable data is Movavi's Mac Cleaner. While it removed the most amount of data, it offers less caution when deleting files/folders which could lead to potential loss of important data. If you are trying to remove a lot of duplicate files or folders on your Mac computer, then the best software for deleting duplicate data is MacPaw's Gemini 2. Similar to CleanMyMac X, you can grab this software for an individual fee or sign up for a Setapp membership which includes access to the full versions of both apps for one low monthly price. Lastly, the best free Mac cleaner from our testing is the popular CCleaner software from Piriform (now owned by Avast). While this lacks a lot of the in-depth cleaning features and fell short on our performance tests, it still offers decent optimization potential without any upfront cost. Our top choice for Mac optimization software offering a great UI and deep yet safe data cleaning potential. Likely the most well-known mac cleaner on this list, MacPaw's CleanMyMac software has been around for a decade and their tenth-anniversary edition of the software dubbed ‘X' improved upon its predecessors with all-new malware scanning and vast optimization potential. The highest cleaning potential through our tests with fewer safety precautions for removing essential data. From our testing, Movavi was able to locate the highest amount of data for deletion to save room on our machines and covers the majority of the features that we sought after. However, it's easier to accidentally delete essential data compared to CleanMyMac X accidentally and the optimization processes take longer to run. A dedicated software from MacPaw that only does one type of optimization (duplicate finding), but does it really well. 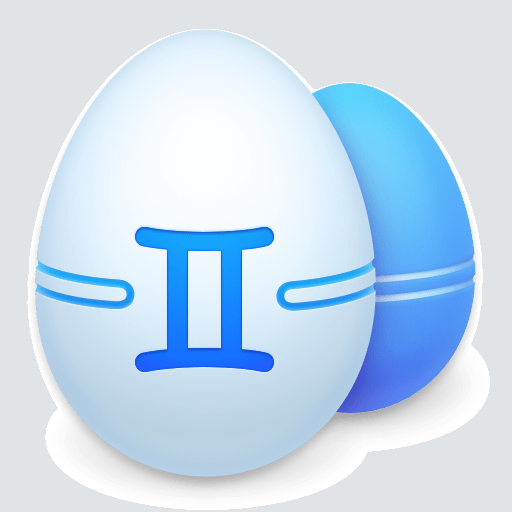 The Gemini 2 software is a separate application from CleanMyMac X despite being developed by MacPaw. However, it offers incredibly deep scanning for duplicate files allowing you to remove the most amount of duplicate data without risking any accidental loss of important files/folders. One of the most popular free cleaning and optimization software for both Mac/PC. CCleaner has arguably been the top choice for free optimization software for both Mac and PC users for the last decade. It is a decent cleaner but lacks in-depth features and advanced safety precautions to prevent accidental data loss. TheTechReviewer's content is user-supported through limited display advertising and affiliate offers with reputable retailers which may earn us a small commission. Rest assured, integrity will always remain our top priority. Why Invest In A Mac Cleaning Software? Our team produced this in-depth guide to help our readers learn more about optimization software and ultimately determine the best Mac cleaner for their needs. All of our recommendations have been thoroughly researched and tested on our own Apple computers. If you don't consider yourself to be tech-savvy and are coming into this guide without much knowledge about Mac computers or their maintenance needs, then don't worry. 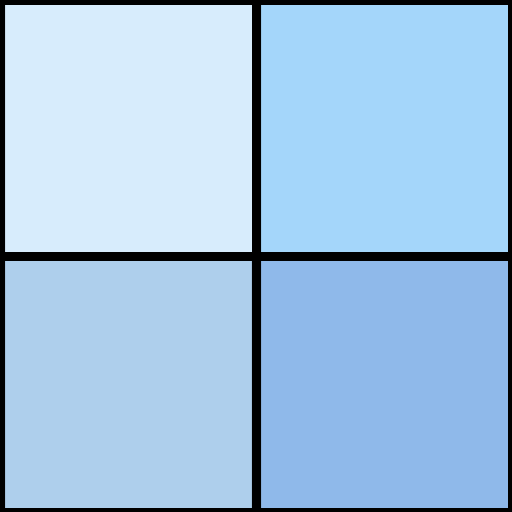 Just pay attention to our recommendations and make sure to consume the entirety of this article so you can fully understand the context of the topic at hand and help you make a more educated decision as to which Mac cleaner is best for you. If you have finished reading this software guide and still find yourself with a lingering question or concern regarding the best Mac cleaner, then you can leave us a comment below. Someone knowledgeable from our team will address your inquiry as soon as possible to help provide resolution for your question or concern. Why Should I Use A Dedicated Mac Cleaning Software? When you purchase a new Apple computer, most consumers are met with fast speeds, an abundance of empty disk space and the experience of a well-oiled computing machine. 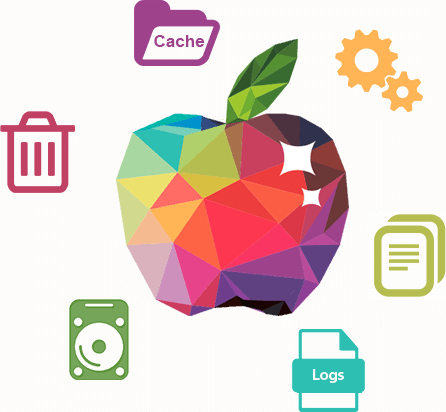 However, as time goes on, this pleasant efficiency and performance can dwindle rapidly as your Mac becomes bogged down with temporary files, caches and data logs which can have a severe impact on performance. It is no secret that most Mac cleaning software utilizes tasks that can be done manually without the need for such software. However, these tasks are both time consuming and require a great deal of knowledge in the backend of MacOS to be cared out safely. Since most Mac users don't have this knowledge nor do they wish to actually take the time or effort to learn how to carry out these maintenance processes manually, it is far easier to use a dedicated Mac cleaner to get this job done without any hassles or worries. Think about it this way, your car requires general maintenance to keep it running and performing as optimally as possible. While it is true that an automobile can be maintained and tuned by the owner, most people would rather pay someone experienced to carry out these maintenance tasks without the hassle or to have the piece of mind that it is taken care of without the burden of learning how to do so themselves. Apple has gained a lot of attention in the marketplace as being a reliable machine, but also one of the most expensive when compared to PC competitors with similar specs. 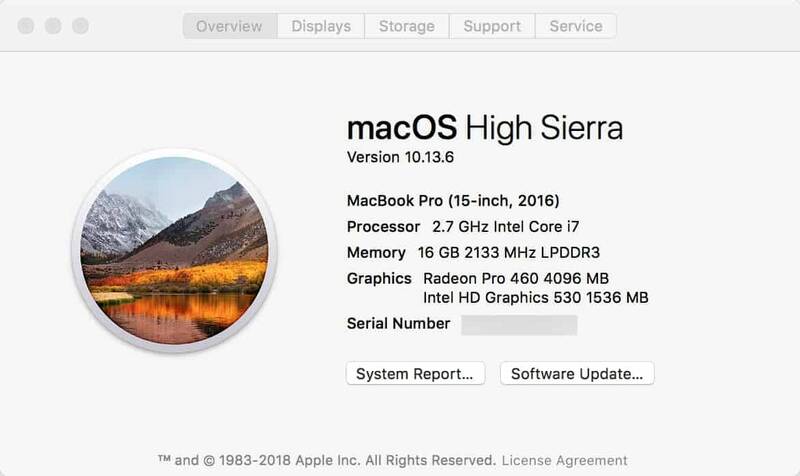 While we firmly believe that Mac owners get their money's worth in the MacOS experience and the high craftsmanship of Apple's computers, we do realize it is not practical to upgrade your Mac computer on a frequent basis. However, when your Mac's performance goes downhill, and you are forced to find a way to improve this, investing $40 into a proper Mac cleaner is just a small drop in the bucket compared to dishing out $1K+ on a new MacBook, MacBook Air, MacBook Pro, iMac or Mac Mini. If your Mac computer isn't performing well then you are likely spending extra time waiting for tasks to be completed. Having this wasted time lowers your overall productivity and in return keeps you from being as profitable as possible since time is money. Having a faster, more resource efficient machine will allow you to accomplish your tasks in a shorter period of time and not suffer from any machine-related bottlenecks. Upon researching the best Mac cleaner, there are likely a lot of questions that may arise through the various marketing lingo and feature comparisons. Due to the complexity of some of these terms and concepts, this section is dedicated to identifying and explaining all the different aspects to consider before choosing an optimization software for Mac. As with any piece of software, the amount that it costs to be able to install and use will be a deciding factor for most consumers. While there are free alternatives on the market such as CCleaner. The best Mac cleaner for your needs will often require you to spend a small amount on a premium license. The software license will run on three different pricing models. The first will be a one-time fee which you pay a single time, and then you'll have access to the software for the lifetime of its existence. However, there is a catch here as sometimes companies will pull a fast one here and have you buy a lifetime license for software like “Mac Cleaner Pro 1” and then as soon as they release “Mac Cleaner Pro 2”, they will want you to upgrade or buy a new license. The second option is a yearly license which you pay one to gain access for a year, and then you'll have to renew this license fee the following year (sometimes this is offered at a discounted renewal price). Lastly, there is the month-to-month subscription which is cheaper up-front but requires you to pay a small fee each month similar to something like Netflix. The only two software on this list that follows this model is MacPaw's CleanMyMac X and Gemini 2 products which offer access to the full versions of both software and hundreds of other Mac applications for just $9.99 a month. 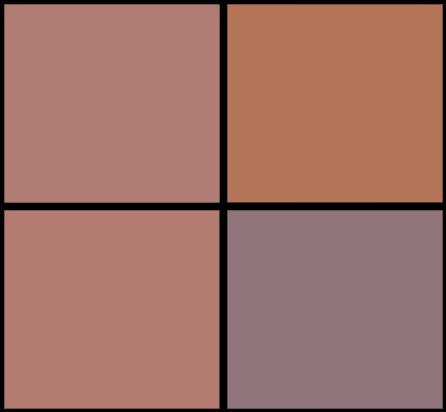 Depending on your needs and budget, one of these options may stick out above the rest. Fortunately, many software offer a free trial allowing you to get a feel for the user interface, features, and performance before actually dishing out any of your hard-earned money. The most substantial need for a cleaning software comes with the removal of system junk which can pile up on the backend of your Apple computer and cause it to bog down your Mac's performance. These are the types of things that Mac users typically wouldn't be checking for when it comes to routine maintenance, but over time they can seriously add up. Most Mac cleaner software will allow you to scan and remove these items in only a few clicks thus saving you valuable disk space and giving your Apple computer more room to perform at optimal levels. 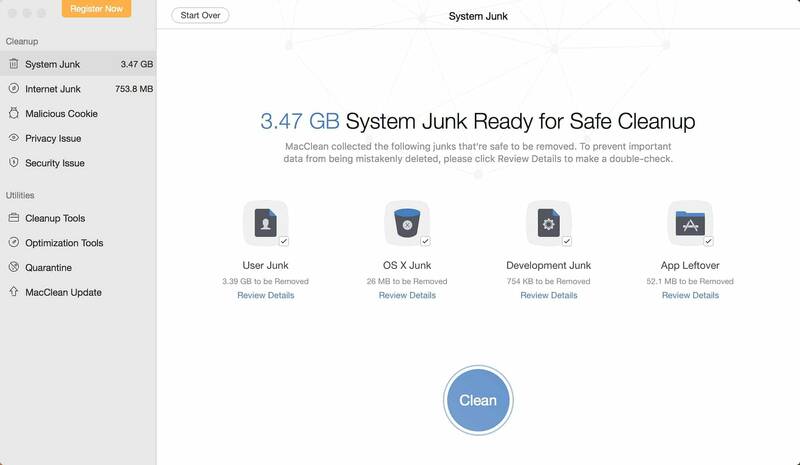 As a general rule of thumb, System Junk files are the safest to remove without risk of accidental data loss as these files are often logs, caches or outdated files that are leftover from your MacOS or applications and do not include your personal data. Depending on the Mac Cleaner that you choose, there may be the ability to utilize a feature called large & old file scanning. Per the name, you can probably already tell this allows you to scan your Apple computer and automatically locate any large or old files that may be present to see if they can be removed. Most software won't recommend you delete the entirety of the results of a large & old file scan as this will almost always result in data loss of files that you likely wanted to keep. However, you can take the time to manually go through and pick/choose which files you can safely remove. This feature is for those who really need to free up some space on your Mac's internal hard disk, but have a lot of personal files that take up a lot of space such as with photo albums or video content. We'd suggest using this tool to locate these files and transfer them to an online cloud service like Dropbox or to an external hard drive for safe yet separate storage. An advanced feature found on some Mac cleaners is a duplicate file/folder finder. 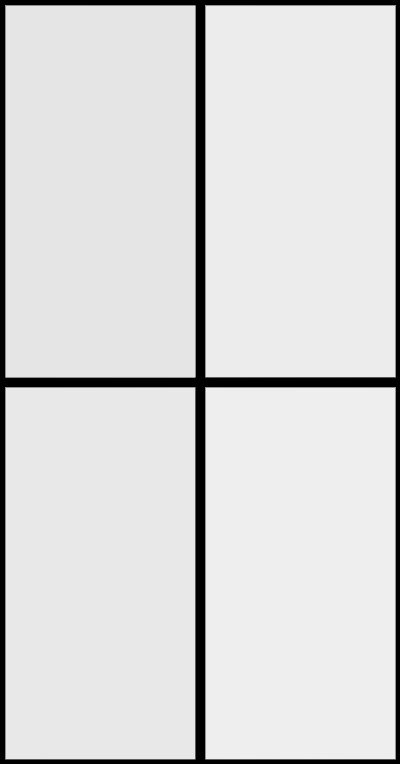 What this process does is scan your Mac computer's hard disk to locate any identical folders or files, and when it finds two identical matches, it is then flagged as a duplicate. From there, you can choose to remove all of the duplicate files to free up valuable disk space instantly. A common term in the world of technology is RAM which stands for random-access memory. RAM is one of the most critical pieces of hardware within your Mac computer as it is the temporary “working” memory used to carry out processes and allow data to be read or written instantaneously. Your RAM's contents are cleared upon rebooting your computer, but sometimes old data can still linger past this operation. When you multi-task or run a lot of RAM-intensive programs, this short-term memory can become filled and bog down your machine's performance. With many Mac cleaners, you can purge your active RAM thus giving your computer more resources to work with. In some cases, the optimization software may even prompt you that your amount of free RAM is low and prompt you to purge additional memory. You'll want to do this is in many cases as there will be caches of different applications or processes stored within your RAM. Once you close these programs, the caches are not always deleted and can still slow down your machine even once their uses are no longer required. Freeing up RAM is one of the most notable increases in performance. You don't need a Mac cleaner to accomplish the purging of RAM, but it makes it much more straightforward and user-friendly than having to use commands within the terminal or other various workarounds. Those used to running a PC are probably familiar with MSConfig which is a system configuration panel found in Windows that allows you to make adjustments to the startup process of the machine. This is done so by telling it which applications you wish to permit your Mac to initialize upon startup. By default Apple has built-in this type of thing under System Preferences > Users & Groups > Login Items. However, this isn't the easiest to locate or the best user experience to manage. Due to this, many of the best Mac cleaners have their own built-in startup configuration tool that offers a better user interface and are easier to locate. While Apple's computers have become a popular commodity among the business, creative and educational crowd, the market share still is far from PCs, and for this reason, there still are not a lot of Mac viruses or malware out there. This is not to say that malware is a non-existent threat, but the necessity of anti-malware software is much more prevalent on a PC than a Mac. Many of the newest Mac cleaners come packed with malware scanning and removal features. This allows you to scan your Macintosh machine and search for any potential threats including malware, spyware or phishing schemes. If the software locates anything suspicious, then you are able to quarantine and remove them. 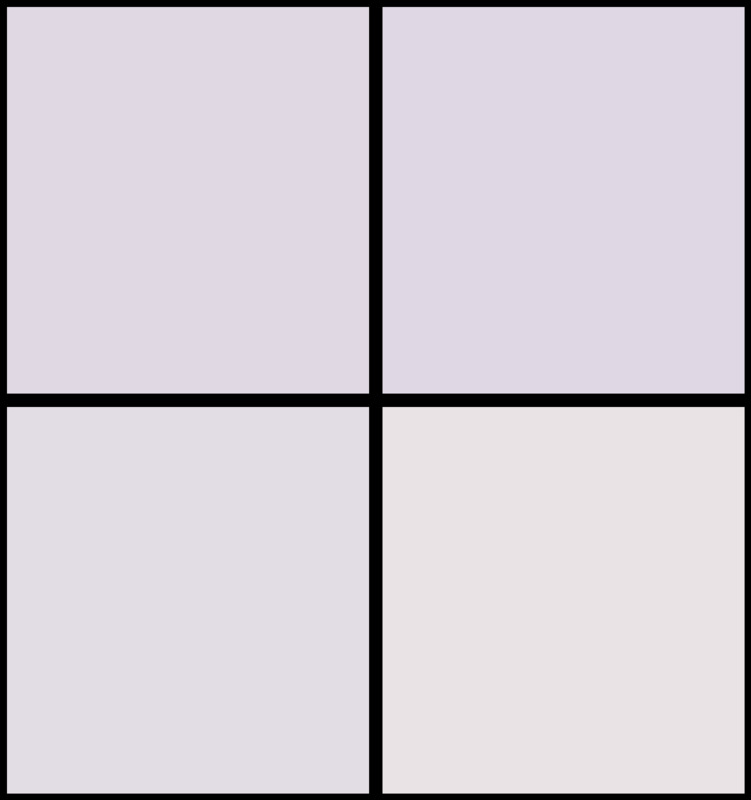 Be aware that there are false-positives so you cannot always rely on the scans. For example, CleanMyMac X & MalwareBytes suggested that MacBooster is malware and while it does have some annoying tendencies (it is tricky to delete within an uninstaller) and utilize more system resources than other competing software, it is a legitimate application developed by IOBit. Windows users are used to having a formal uninstall process with their programs which help to delete all corresponding files, folders, and miscellaneous data leaving to a clean removal. Mac users can drag the application icon to the trash bin to start an uninstall, but in many cases, this doesn't get rid of all the data attributed to that app. Fortunately, many of the Mac cleaners on this list offer an uninstaller feature which will scan your applications and pick/choose which ones you would like to uninstall. Once doing so, the cleaner can remove the application in its entirety without any traces left behind. 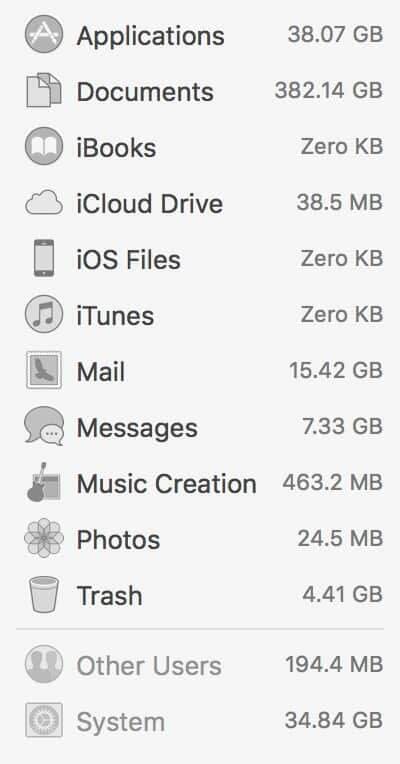 A nice thing about this feature is that in some cases you can actually scan your Apple computer for any unused data left from previous applications removals (yes, even before you bought the Mac cleaner) and be sure to eliminate this excess data that has no parent application installed. If you are often deleting files or multimedia that contains sensitive/personal content, then you should be aware that these files may be able to be retrieved through data recovery software and potentially get into the wrong hands. For this reason, some Mac Cleaners will offer a file shredder tool which you can input a file or folder that you absolutely want to remove and the application will delete then rewrite existing data over this portion of the disk thus making the original file(s) that you removed unretrievable through third-party data recovery tools. Depending on the optimization software, there may be a section dedicated strictly to privacy protection. Within this area, you'll be able to see how much of your personal data is stored within your web browsers (by way of cookies, browsing history, autofill and downloads history). Some Mac cleaning software also allows you to see all the previously saved Wi-Fi connections that you have to be able to ensure your computer isn't automatically connecting to a Wi-Fi connection that you are no longer going to be using to help prevent unwanted intrusion. We decided to put these cleaning products to the test and ultimately determine which of them is truly the best Mac cleaner. This is my personal machine, a 15-inch MacBook Pro that I use on a day-to-day basis for mainly work with some personal use. Each scan was run exactly the same way within minutes of one another without actually deleting anything, so the variables remained the same. Keep in mind, the figures vary significantly among the Mac cleaner software. This is due to many aspects such as the depth of scanning, lack of features and safety precautions set forth by the software to prevent the accidental deletion of sensitive data. As you can see from the above graphs, it seems that Movavi's Mac Cleaner 2 software comes out with the highest cleaning potential with nearly 471GB of data. However, keep in mind most of the bulk of the total cleaning potential with all major Mac cleaners comes from the ‘old and large files' portion. This section will almost always contain files or folders containing personal photos, videos or other documents that you would NOT want to remove through a cleaning software. To give you a better idea, Movavi Mac Cleaner 2's total cleaning potential flagged 470.5 GB for removal out of 514.46 GB of total used space. Removing the 34.84 GB of system files from MacOS, the remaining used hard disk space from non-OS related data is left with 479.62 GB. This Mac Cleaner 2 would ultimately remove 98% of the user's system files leaving just 9.12 GB remaining after running all of the modules. Now obviously the software isn't designed to have every user carry out cleaning on every module especially the ‘old and large files' sections, but I just wanted to point out how the data can be skewed by this type of test. Lots of helpful advanced tools to do things like flush DNS cache, reindex Spotlight, etc. MacPaw has been an industry leader in software for Mac OS X and Mac OS for many years now. While the company does offer some Windows-specific programs like CleanMyPC, they focus primarily on applications for Macintosh computers and this ensures high quality development with few bugs and frequent updates. 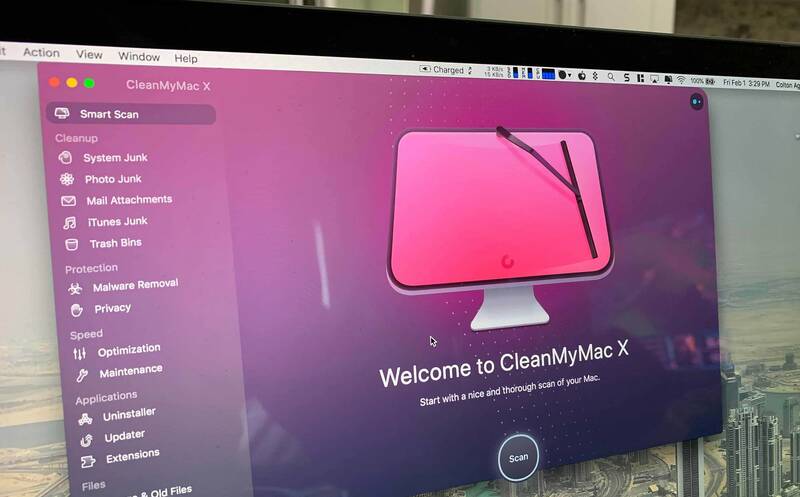 We have tested CleanMyMac X thoroughly over the years (read our full review) and have found the mac cleaning software gets better and better with each release. The newest ‘X' edition launched just a short time ago and commemorated the tenth anniversary of the software's existence. New to this year's CleanMyMac iteration is malware removal and privacy settings allowing you to help keep track of your machine's privacy and security settings quickly and avoid unwanted intrusions. CleanMyMac X, in particular, did well on the two tests (they require Gemini 2 for duplicate cleaning) although smaller than both MacBooster and Movavi's Mac Cleaner 2. The reason for this is their cleanup algorithm has many safeguards built within it to keep you from accidentally removing important data and will automatically suggest removing only those files or folders that you truly won't need. CleanMyMac X's biggest downfall is the lack of an integrated duplicate finder like some of its competition. Given that MacPaw's Gemini 2 software is so impressive finding and removing duplicates, I'd love to have seen it included natively. However, the new Setapp membership from MacPaw helps accomplish this. For $9.99/month ($8.99 with an annual subscription), you can access the full versions of CleanMyMac X, Gemini 2 and hundreds of other Mac applications over a variety of different categories. Best of all, they have a free 7-day trial, so you can test out the full version of CleanMyMac X without even putting in a credit card number. Movavi is mostly known for their suite of multimedia software for such tasks as photo editing, video editing or screen recording for both Mac and PC users. However, their lesser-known Mac Cleaner 2 software has been proven to be a contender in the optimization software game. Coming in at the top of our list in the performance testing, Movavi had an ultra-deep scan which could be seen as too deep as it suggested deleting up to 98% of our hard drive's personal contents. If you have some basic knowledge of your computer and what folders/files to keep and which to delete, then you can use Mac Cleaner 2 efficiently without much risk of data loss. We like that it has a duplicate file finder feature integrated and also has extra advanced features such as anti-malware, a firewall, file shredder, RAM cleanup, application uninstaller and startup optimizer. As for the memory cleanup or RAM purging feature, we like how it will auto notify you when your RAM is almost entirely occupied and prompt you to purge up free space. The user interface isn't going to win any awards, but it is decent and modern enough not to feel clunky. 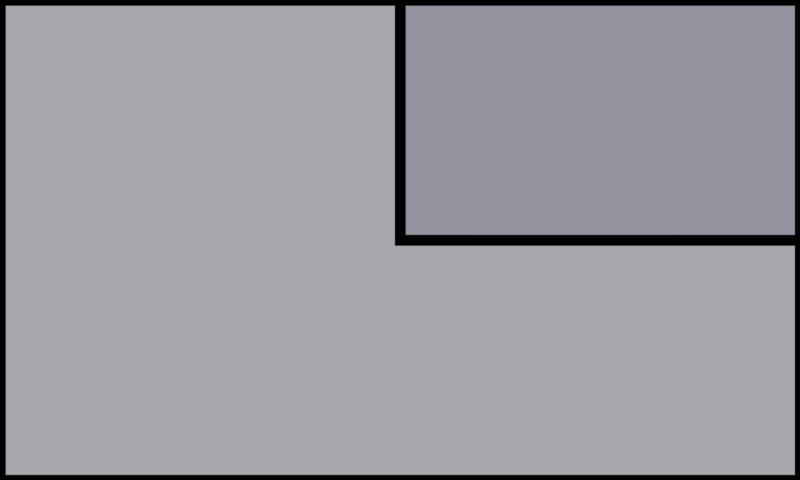 The organization of the UI is well laid-out allowing you to sift through the different cleaning segments with ease. When it comes to the optimization software though the cleaning potential is so deep, we noticed it takes significantly longer for the application to scan through the contents of your Mac computer than the competition. This surely isn't a deal breaker, but something worth noting for those who are impatient. IOBit is a company that has been involved in the PC development game since its inception in 2004. While their focus is on Windows-based software, they do offer MacBooster 7 which is an optimization software designed for Apple computers. With a similar interface to CleanMyMac X, the user experience of MacBooster 7 is pleasant and easy to maneuver through. From a resource perspective, the MacBooster software can be a bit of a hog utilizing significantly more resources than most of the competition. We like that it covers pretty much all of the bases with privacy protection, virus/malware scanning, a duplicate finder, uninstaller, startup optimizer and RAM purge option, however, it is missing the file shredding feature which may be a deal breaker to some users. Something that was a bit odd with MacBooster 7 is that both Malware Bytes and CleanMyMac X false-flagged the software as malicious and suggested us to proceed with quarantine and removal. While we aren't quite sure what was throwing the flag on MacBooster and it isn't our choice for the best Mac cleaner, we can assure you that this app isn't malicious and IOBit is a reputable company. No RAM purge, malware scanning, junk file removal, uninstaller or privacy protection. MacPaw's second piece of optimization software that made this list is their Gemini 2 Mac app which overlooks all the basic cleaner features from CleanMyMac X and focuses entirely on duplicate scanning. 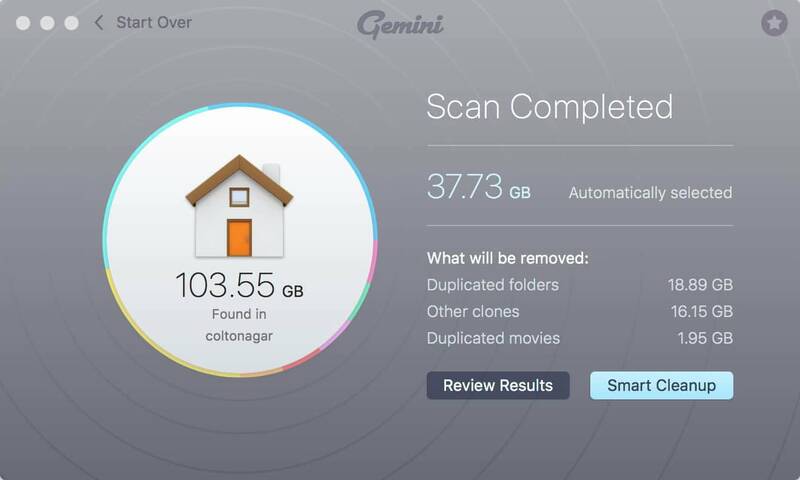 However, Gemini 2 has the most in-depth duplicate file scanner for Mac on the market and achieved the highest potential duplicate file savings in our performance testing locating a whopping 103.55 GB worth of duplicate files on my machine (the closest competitor found only 78.09 GB). Similar to CleanMyMac X, Gemini 2's user interface is really well-designed and easy to navigate. It breaks down in two main sections one being exact duplicates for files, folders or archives as well as a similar files section. 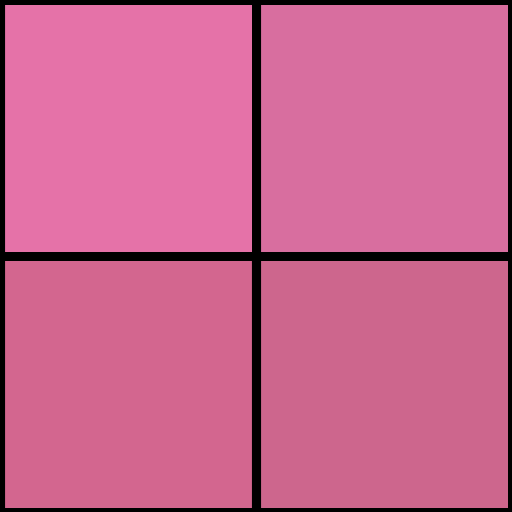 The similar files scan mainly locates images that have near identical properties, but slightly different attributes which often you won't need more than one copy of. It isn't the most efficient way to accomplish this task having to rely on both CleanMyMac X and Gemini 2 in conjunction for the best cleaning result, but through the Setapp subscription, you can achieve this without breaking the bank. iMobie is a well-known developer that focuses primarily on Mac and Apple products with most of their applications geared towards iOS. Their MacClean 3 software is designed to be an all-in-one solution for keeping your Apple computer running smoothly and efficiently without bottlenecks or security threats. From a user interface standpoint, what you get with MacClean 3 is decent although we didn't like how the sections were organized was and that you have to click through multiple times to get to advanced features like the old & large file scanning which seems a bit too hidden. 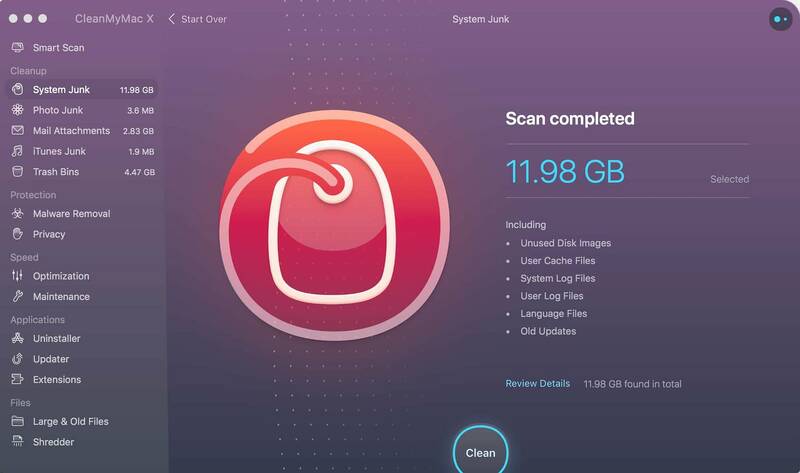 Performance testing with MacClean wasn't overly impressive as while it found nearly as many old and large files as Movavi's Mac Cleaner 2, it barely found any potential data to remove in the System Junk category of which see being the most important for a Mac cleaner. We did notice the security features which scan deep into your Mac for malicious files, folders or applications was very thorough and found some potential threats that the other scanners didn't locate (and these did not appear to be false positives). 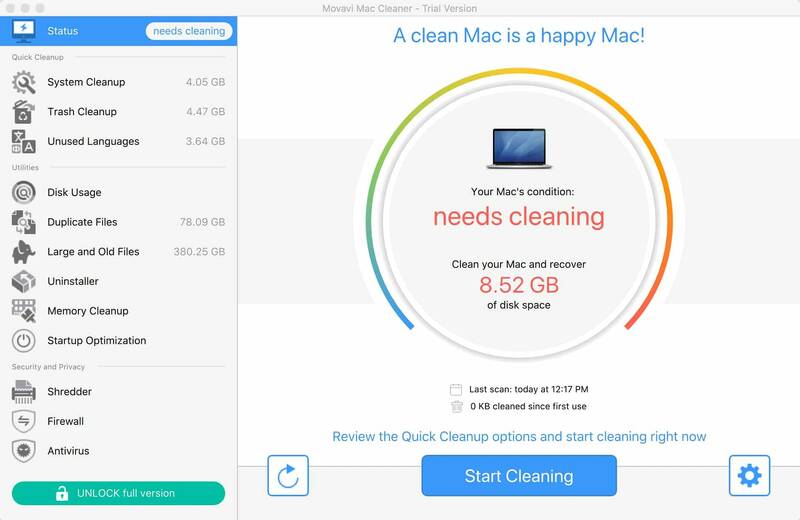 Pricing wise, MacClean 3 has some of the best pricing of all the top Mac cleaners on this list offering a free trial as well as a yearly membership for $19.99/yr, a lifetime license for $29.99 or a family license offering up to five Macs for just $39.99. As one of the best Mac cleaners according to the Mac App Store user reviews, we included the Disk Cleaner app from Pocket Bits on this list. Priced at $19.99 for a lifetime license, the cost is affordable for most budgets. At the time of this article being written, Disk Cleaner was actually discounted to just $2.99. Compared to the rest of the Mac cleaning applications on this list, it is very basic. There aren't a lot of bells and whistles so don't expect a lot of the advanced features that you see competing software within this guide. What you do get with the Disk Cleaner app is simple and easy to use interface with a fast scanning process. The app does allow you to pick and choose different areas of your Apple computer that can be cleaned to free up space. However, there isn't a lot of hard stops to keep you from accidentally deleting important files and folders that you need, and the base system junk type data that it was able to flag for removal was considerably smaller than its competitors even compared to the free CCleaner option. Piriform's CCleaner has been a great free option for both Mac and PC optimization for over 15 years now. The software at its base is entirely free for personal use (businesses require a license), but there is an optional pro subscription offered which enables advanced features like frequent system and browser monitoring as well as software support. The user interface within CCleaner isn't stellar, but it isn't horrible either. Everything is well organized, and you can find your way through the various maintenance task without running into any real hassles. 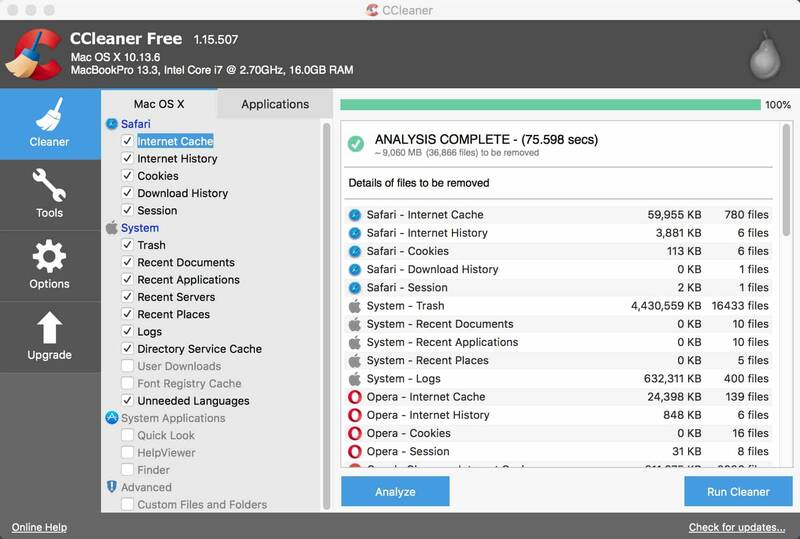 There aren't as many optimization features within CCleaner as you'd get from a premium Mac cleaner, but the base clean still should do a decent job at removing excess system junk and freeing up some hard disk space. We'd love to see a built-in RAM purge option into CCleaner, but there isn't one currently implemented. 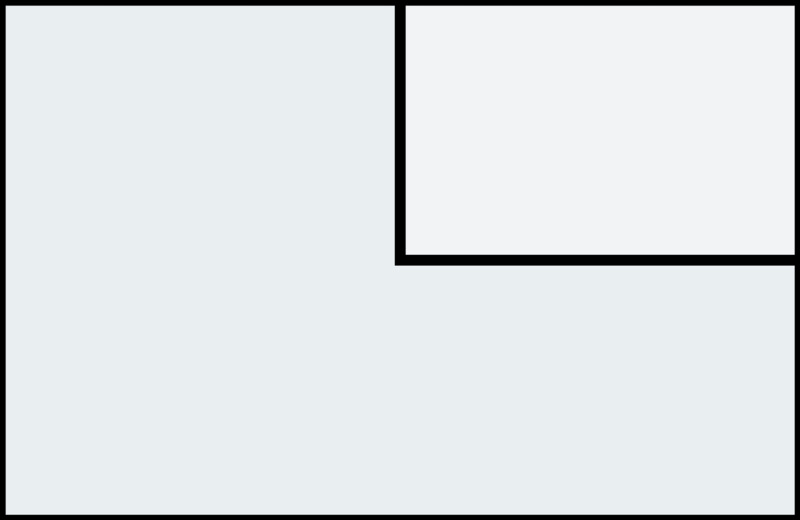 However, Piriform did include an uninstaller as well as a startup optimization panel which are helppful tools to be able to harness in a totally free software. CCleaner is a popular software from a well-known company in the industry (Avast acquired CCleaner in July of 2017). However, it is worth noting that Piriform was involved in a malicious hack of their servers back in September of 2017 which resulted in 2.27M users being subject to the potential threat unknowingly. Piriform states they were able to detect the attack early enough to stop it before it could do any harm, but this is a risk you'll be subject to when choosing a free solution over a premium Mac cleaner. 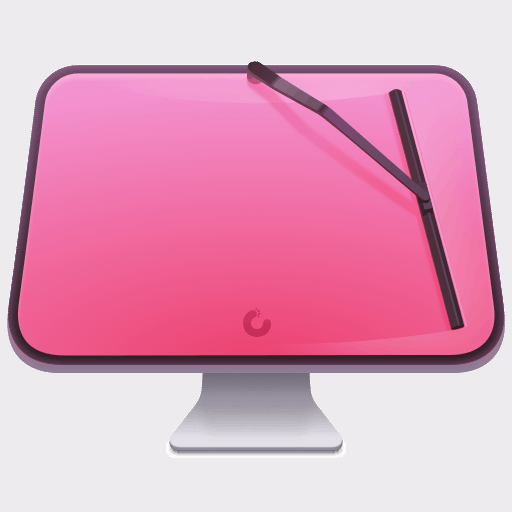 When taking into consideration all of the features, functionality, and pricing of the various Mac cleaners on this list, we think the top Mac cleaner is CleanMyMac X. We chose this as our Editor's Choice because of its stellar UI, high featureset, ease of use and safety precautions when it comes the potential for accidental deletion of important files/data. If you opt to go the Setapp route, you can gain access to the full versions of both MacPaw's CleanMyMac X as well as Gemini 2 to get the best of both worlds in safe cleaning and duplication scanning. Realistically, if you need a one-time clean then you could go with the free trial version of CleanMyMac X (restricted to 500MB of cleaning) or the 7-day Setapp trial which offers full access to both CleanMyMac X and Gemini 2 for a week with no credit card required. Thanks for visiting our software guide on the best Mac cleaner !